Sun damage and hyperpigmentation age the complexion. Obagi Nu-Derm Clear Fx works to fade dark spots and create a more even skin tone. This hydroquinone-free skin lightener helps minimize imperfections caused by melasma, sun damage, acne and more. The non-prescription formula is gentle, yet effectively works to clarify and brighten skin. 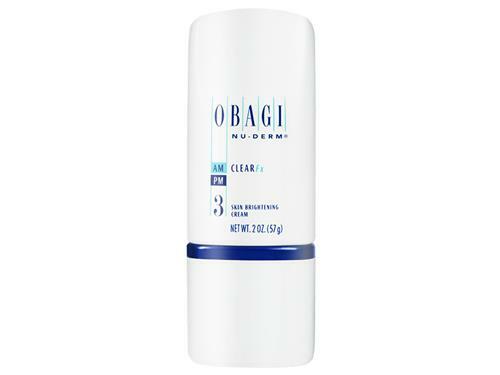 Obagi Nu-Derm Clear Fx also helps promote healthy cell renewal for a more radiant appearance. With continued use, this lightening cream gradually improves the look of blotchy and discolored skin.